I was watching the talk show "Katie" today and it was all about teens and addiction. I learned alot! Nowadays, you pray that your kid just experiments with pot and alcohol. I know some parents will be like WTF! But, trust me after listening to this show and talking with parents who have gone through this stage, it is amazing if your kid comes out on top. The street drug of choice is Molly. If you hear your kid say "has anyone seen Molly? - that means the drug. It is a pure form of Ecstacy and it is one you NEVER want them to get their hands on. The effects of this drug is sooooo damaging. It affects the signals in your brain and connects places there that should never be connected. After one time, your brain turns to jello! Recently, at the Ultra Music Festival, Madonna asked the people in the stands if they "had seen Molly?" Okay, first off - get a life Madonna. Your time with the teens is sooooo over. It is NOT cool at your age to encourage drug use - especially something like this. It is way worse than all the Pot you smoked in your day. 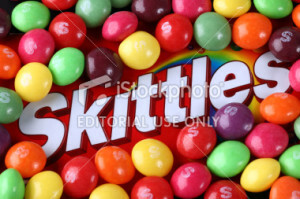 Another street drug is called "Skittles". Now the drug pushers are tarnishing a great candy! It is a drug called Coricidin and it can cause a high feeling and alot of hallucinations. As parents, it is not just about going to a party and having a beer. It is having to know what all the slang words mean and watching them like hawks! What happened to the days of just keg parties? How To Have A Romantic Night Out Without The Kids!